Milk is a favorite beverage not only among children but adults as well. It is a protein and calcium-filled drink that has a creamy and refreshing taste. 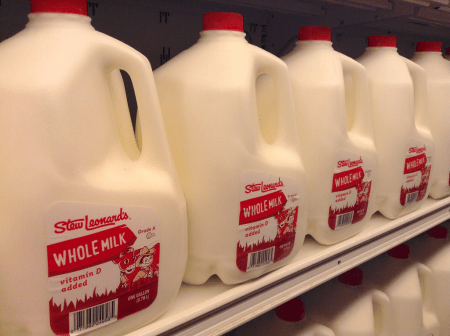 Some would think that all kinds of milk are the same. However, there are different types of milk to suit different tastes. 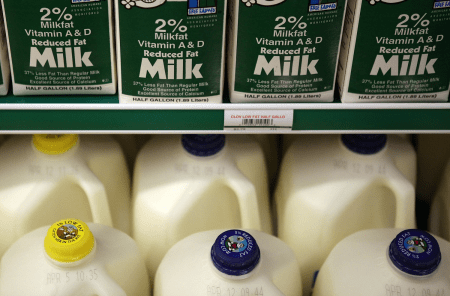 In this article, we’ll focus on whole milk and 2 percent milk. Continue reading to find out how these two types of milk are differentiated. Whole milk is the type of milk that contains 3.25% – 5% milk fat in weight, depending on the cow. As this type of milk has the highest amount of milk fat, it also has the creamiest taste. A regular 8-ounce serving of whole milk has around 8 grams of fat and 150 calories. 2 percent milk contains 2% milk fat in weight. As it has reduced milk fat, the creaminess of the milk is also lessened. A regular 8-ounce serving of 2 percent milk has around 5 grams of fat and 120 calories. The main difference between whole milk and 2 percent milk is in the amount of milk fat in weight. Whole milk has around 3.25% – 5% milk fat, while 2 percent milk contains milk fat that is 2% of the total weight of the milk. Due to the higher amount of fat, whole milk tastes creamier than 2 percent milk. Nonetheless, the protein, calcium, and essential nutrients content of both types of milk remain the same. When you drink a regular serving of milk, equivalent to an 8-ounce glass, you get 8 grams of fat and 150 calories from whole milk. On the other hand, for the same size serving, you get 5 grams of fat and 120 calories from 2 percent milk. Nutritionists say that milk plays a vital role in a healthy diet. The fat content helps slow down digestion and aids in preventing a spike in blood sugar levels.